The cast has been announced for the upcoming world premiere of “Soft Power” by David Henry Hwang (play and lyrics) and Jeanine Tesori (music and additional lyrics). This play with a musical will be produced by Center Theatre Group at the Ahmanson Theatre from May 3 through June 10, 2018. Directed by Leigh Silverman and choreographed by Sam Pinkleton, the opening of “Soft Power” is set for May 16. Following its run at the Ahmanson, “Soft Power” will play San Francisco’s Curran from June 20 through July 8, 2018. The cast includes, in alphabetical order, Billy Bustamante, Jon Hoche, Kendyl Ito, Francis Jue, Austin Ku, Raymond J. Lee, Alyse Alan Louis, Jaygee Macapugay, Daniel May, Paul HeeSang Miller, Kristen Faith Oei, Maria-Christina Oliveras, Geena Quintos, Conrad Ricamora, Trevor Salter and Emily Stillings. 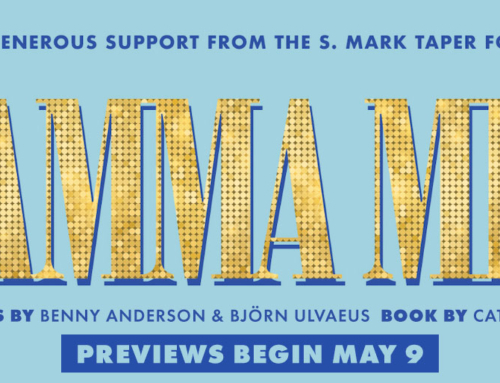 A contemporary comedy explodes into a musical fantasia in the first collaboration between two of America’s great theatre artists: Tony Award winners David Henry Hwang (“M. Butterfly”) and Jeanine Tesori (“Fun Home”). “Soft Power” rewinds our recent political history and plays it back, a century later, through the Chinese lens of a future, beloved East-meets-West musical. In the musical, a Chinese executive who is visiting America finds himself falling in love with a good-hearted U.S. leader as the power balance between their two countries shifts following the 2016 election. Hwang returns to Center Theatre Group where he premiered Pulitzer Prize finalist “Yellow Face” and his Tony-nominated revival of “Flower Drum Song.” Hwang’s other work includes the plays “M. Butterfly,” “Chinglish,” “Kung Fu,” “Golden Child,” “The Dance and the Railroad” and “FOB,” and the Broadway musicals “Aida” (co-author, Ahmanson 2001-2002 season) and Disney’s “Tarzan.” He is also America’s most-produced living opera librettist and a writer/producer for the Golden Globe-winning television series “The Affair.” Born and raised in Los Angeles, Hwang is a Tony Award winner (“M. Butterfly”) and three-time nominee, a three-time Obie Award winner and a two-time finalist for the Pulitzer Prize. Recent honors include the 2011 PEN/Laura Pels Award for a Master American Dramatist, the 2012 Inge Award, the 2012 Steinberg Distinguished Playwright “Mimi” Award, a 2014 Doris Duke Artist Award and the 2015 IPSA Distinguished Artist Award. He is Chair of the American Theatre Wing and sits on the boards of Young Playwrights Inc. and the Lark Play Development Center. Hwang was recently the Residency One Playwright at New York’s Signature Theatre and currently serves as head of playwriting at Columbia University School of the Arts. In 1998, East West Players named its new mainstage the David Henry Hwang Theater. Tesori’s Broadway credits include “Fun Home” (2015 Tony Award winner which played at the Ahmanson in 2017), “Violet,” “Caroline, or Change” (also at the Ahmanson), “Shrek The Musical,” “Thoroughly Modern Millie” (also at the Ahmanson), “Twelfth Night” (Lincoln Center Theater) and John Guare’s “A Free Man of Color.” Tesori also collaborated with Tony Kushner on “Mother Courage” starring Meryl Streep at the Delacorte. Her opera credits include “A Blizzard on Marblehead Neck” (libretto, Tony Kushner; Glimmerglass) and “The Lion, the Unicorn and Me” (libretto, J. D. McClatchy; Washington National Opera). Her songs are featured in the Netflix revival of “Gilmore Girls.” She is the artistic director/co-founder of A Broader Way, an arts empowerment program for girls from underserved communities; the founding artistic director of Encores! Off-Center; and a lecturer in music at Yale University and Columbia University. Tesori is a member of the Dramatists Guild. Center Theatre Group, one of the nation’s preeminent arts and cultural organizations, is Los Angeles’ leading nonprofit theatre company, which, under Artistic Director Michael Ritchie, programs seasons at the 736-seat Mark Taper Forum and 1600 to 2000-seat Ahmanson Theatre at The Music Center in Downtown Los Angeles, and the 317-seat Kirk Douglas Theatre in Culver City. In addition to presenting and producing the broadest range of theatrical entertainment in the country, Center Theatre Group is one of the nation’s leading producers of ambitious new works through commissions and world premiere productions and a leader in interactive community engagement and education programs that reach across generations, demographics and circumstance to serve Los Angeles. 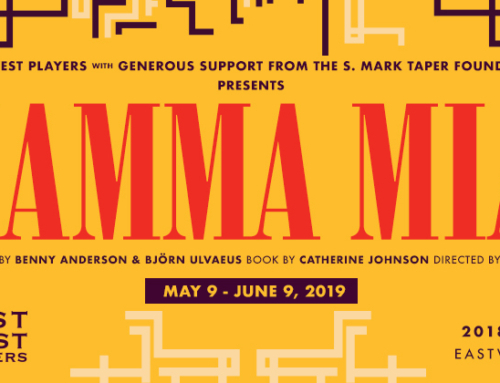 Bank of America is the season sponsor for Center Theatre Group’s 2017-2018 season the Ahmanson Theatre and Delta Air Lines is the official airline sponsor. Tickets for “Soft Power” are available through Center Theatre Group or East West Players. To purchase Center Theatre Group tickets: call (213) 972-4400, visit www.CenterTheatreGroup.org, or go to the Center Theatre Group Box Office located at the Ahmanson Theatre. To purchase tickets through East West Players: call (213) 625-7000 or visit www.eastwestplayers.org. Tickets range from $30 – $130 (ticket prices are subject to change). The Ahmanson Theatre is located at The Music Center, 135 N. Grand Avenue in Downtown L.A. 90012.